Wrapped the old tacky wood grain. What do you guy think? Last edited by Racon88; 10-22-2012 at 01:24 AM. Wood grain only belongs in luxury cars, not sporty coupes. I liked the wood grain somewhat but it didn't fit the cockpit. Its wierd though; it feels like I'm gettin into a different car. Rsx seats are pretty nice. I've never sat in them though. I can vouch for my s2ks though. I love them. 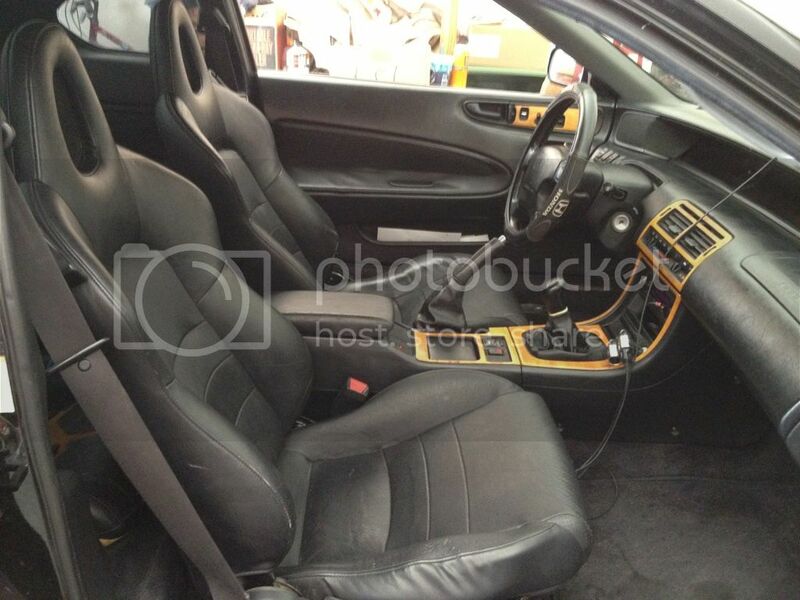 My interior is getting closer to completion I only need new speakers and new bottom portions of my rear leathers. I liked both actually.. I am not a fan of vinyl. Only because people dont do it right and it looks bad. But this looks nice! I don't really care for S2k seats. I dunno why. Something about them just feels off. 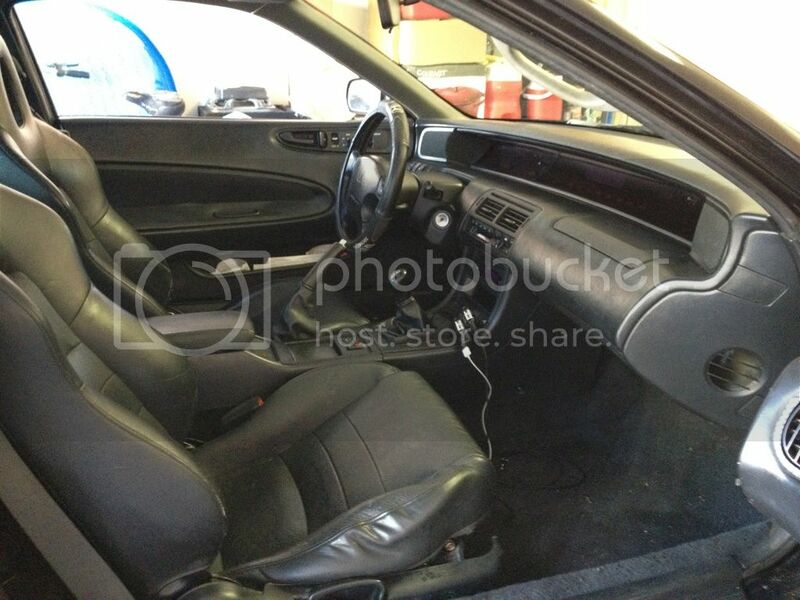 RSX seats are junk though. They're comfy and look good, but they hold up like cheap paper mache. Why do want them then? Because they're comfy and they look good, lol. Anything is better than my stock VTEC leather. The driver's seat is just now starting to come apart, and that makes me depressed. You should have seen my original leathers man. They were trashed. The bottom portion of the back ones is still Terrible. You can see them in the second pic I posted. I just don't like carbon fiber anymore. I guess seeing people do it wrong left a bad taste in my mouth. Yours look nice, but....maybe if I saw it from the same angle as your wood grain pic I would like it. Like the cf better. 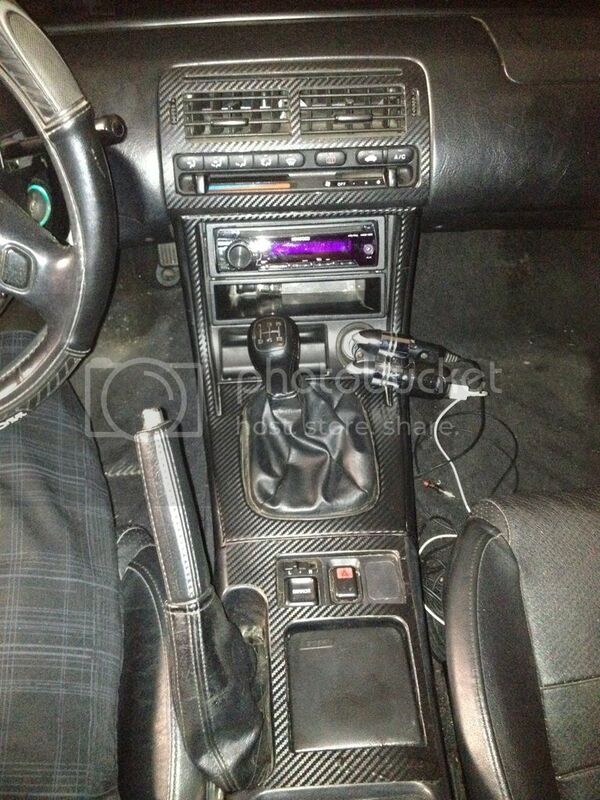 Wood grain will make me feel like I am tryin' to luxury my lude, lol. Nice! Now come do mine. Both look nice but CF ;D since that's what I have as well. I like the CF better. Yeah you got me with the last pic. The CF looks way better. Very nice. Keep your eye on Craigslist man a set pops up every once in awhile. I can help for a quick install if you ever get a pair. the cf gets my vote since it looks like the background at the top of the prelude zone home page. CF :) Woodgrain is for old men.